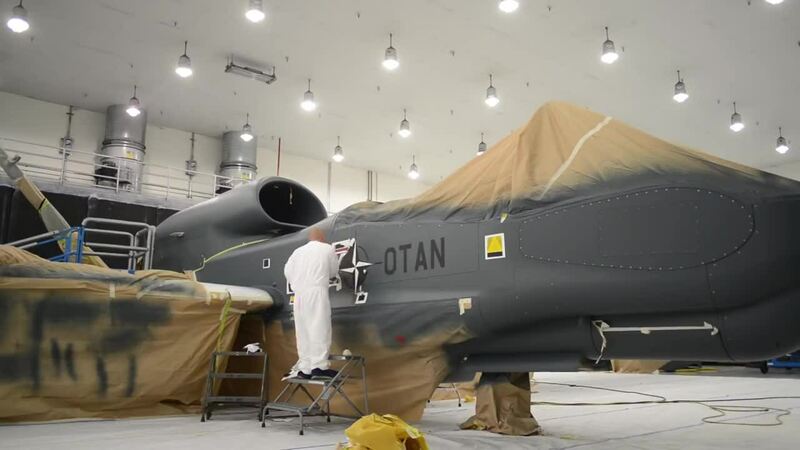 The first of NATO’s five unmanned air vehicles rolled off the factory line in San Diego on Thursday 4 June 2015. The Global Hawk Block 40 is part of the Alliance Ground Surveillance Program (AGS). The NATO-owned and -operated AGS core capability will enable the Alliance to perform persistent surveillance over wide areas from high-altitude long-endurance aircraft in any weather or light condition. The system will give commanders a comprehensive picture of the situation on the ground. The AGS system is being acquired by 15 Allies (Bulgaria, Czech Republic, Denmark, Estonia, Germany, Italy, Latvia, Lithuania, Luxembourg, Norway, Poland, Romania, Slovakia, Slovenia and the United States). AGS is scheduled to reach initial operational capability by the end of 2017. The air vehicles will be controlled from the main operating centre in Sigonella, Italy.